BY LUCY MA and VIVIAN GIANG. UCLA Kendo Club is holding its 10th Annual Yuhihai Intercollegiate Kendo Tournament this Sunday on Feb. 26. The tournament will be in the gym in the Student Activities Center and start at 9 a.m. Written as “剣道” or “the way of the sword,” kendo can formally be described as a way “to discipline the human character through the application of the principles of the katana,” says Jenny Huang, a fourth-year business economics major and vice president of the UCLA Kendo Club. Both Huang and Chim joined the UCLA Kendo Club as first-years, without any prior kendo experience. 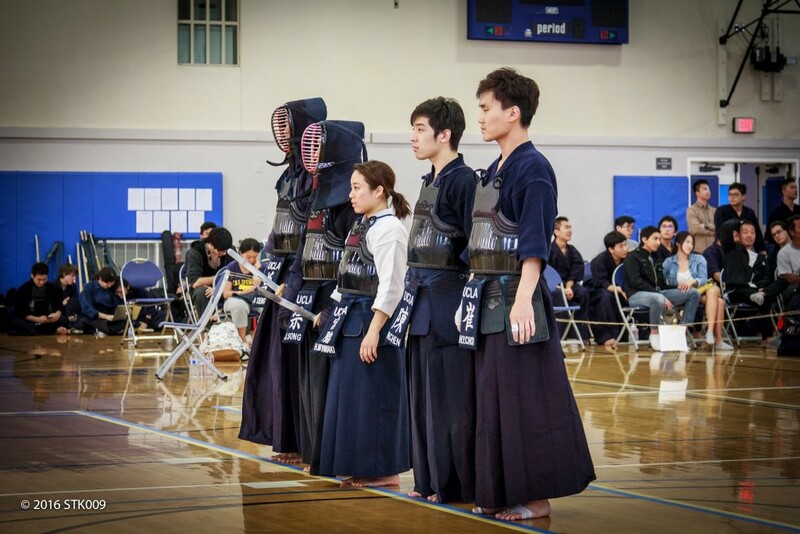 Now as the club’s vice president and president, respectively, both women are eager to help pass on the “kendo college experience.” Part of that experience is the annual tournament, Yuhihai, which they are the primary organizers for. This year’s Yuhihai Tournament is particularly special because it marks the tournament’s 10th anniversary. “I think we’re hoping to really showcase how much Yuhihai has grown throughout the past 10 years,” said Huang. This year’s Yuhihai Tournament will include 11 schools from across the U.S. and around 160 participants. The tournament will begin with opening ceremonies that include guest sensei, or instructors, from Japan – Shinotsuka Masuo and Tadaomi Hojo – both of whom are members of Japanese law enforcement. Shinotsuka sensei was also the one who named the annual tournament “Yuhihai” — which means “a great leap full of bravery and ambition” — with hopes that the club and the tournament will help students aspire to bravely move forward, face adversity head on, and to always keep a sense of determination. After the opening ceremonies, the tournament’s competitions will begin with individual rounds in the morning, while the team divisions will take place in the afternoon. Chim and Huang also gave high regards to the club’s women’s team, which has taken gold in the individual division for two years in a row. For the team divisions, the club took third place last year and second place the year before in the Yuhihai tournament. They also placed second for two years consecutively in Harvard’s Shoryuhai Tournament. “We’re aiming for first this year,” said both Chim and Huang. The Yuhihai Tournament is not only a place for kenshi, a kendo practitioner, to test their skills. It is also a symbol of “kendo presence in California,” explained Huang. Yuhihai was originally founded to fill in a gap for kenshi on the West Coast. With participants that include opponents all the way from Boston University, the tournament’s existence highlights the ongoing expansion of the kendo community from the West to East Coast. Chim also feels that sense of responsibility, coupled with the unity that comes from meeting and connecting with different generations of the Kendo Club’s members and alumni. From the time they spent with others and the experiences they shared with other members at the club and tournaments, Chim and Huang feel that it is definite that they will return as alumnas to continue the long-held, generational tradition that lies within kendo and Yuhihai. For more information on UCLA Kendo Club, please check out: UCLA Kendo.